Your suspension and your steering column are set at precise angles to help keep your vehicle straight. If any part of your suspension, springs, bushings, or ball joints, starts to come loose or sag you'll feel your alignment shift out of whack. Not getting your wheel alignment checked could mean one of those parts will come loose and cause some major damage. Don't trust your car to any old place that won't thoroughly check your alignment for suspension issues. Come by Victor Auto Body Works serving Middletown, CT -- minutes from Plainville -- and you'll leave confident that everything in your undercarriage is straight and tight. With Victor Auto Body Works, you get some of the best wheel alignments deals near Plainville , right in Middletown, CT and surrounding areas. Wheel alignment cost doesn't have to be a huge expense. Our service team takes a good look under your car for a fair price and we make sure everything is at the angle it's supposed to be in. A good alignment can help increase the life of your tires too so getting it looked at by the Victor Auto Body Works serving Middletown, CT -- minutes from Plainville service team pays for itself. Even if it isn't something you notice till you need to take a sharp turn having a bad wheel alignment can be a huge safety risk. Come by Victor Auto Body Works serving Plainville and make sure you stay on the straight and narrow path for a good long time. When you are going down a curvy highway at 70 mph in the rain having a wheel alignment just a little bit out of whack could mean a pretty big safety risk. Don't wait until then to think "I should have had my wheel alignment checked." When you feel your steering wheel pull to one side make sure you take your vehicle to Victor Auto Body Works serving Plainville for a wheel alignment that will keep you going on the straight and narrow path. 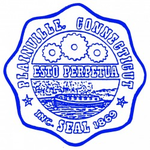 Come on down to the shop on 590 Washington Street, Middletown CT -- right around the corner from Plainville -- or call us at (860) 346-8800 so we can help!